Polypharmacy is a well-described problem in the geriatric population. It is a relatively new problem for people living with HIV (PLWH), as this group now has a life expectancy approaching that of the general population. Defining polypharmacy for PLWH is difficult, since the most common traditional definition of at least five medications would encompass a large percentage of PLWH who are on antiretrovirals (ARVs) and medications for other medical comorbidities. Even when excluding ARVs, the prevalence of polypharmacy in PLWH is higher than the general population, and not just in resource-rich countries. Using a more nuanced approach with “appropriate” or “safer” polypharmacy allows for a better framework for discussing how to mitigate the associated risks. Some of the consequences of polypharmacy include adverse effects of medications such as increased risk of geriatric syndromes, drug–drug interactions, decreased adherence, and over- and undertreatment of medical comorbidities. Interventions to combat polypharmacy include decreasing pill burden—specifically with fixed-dose combination tablets—and medication reconciliation/de-prescription using established criteria. The goal of these interventions is to decrease drug interactions and improve quality of life and outcomes. Some special populations of interest within the community of PLWH include those with chronic pain, substance abuse, or requiring end of life care. A final look into the future of antiretroviral therapy shows the promise of possible two-drug regimens, which can help reduce the above risks of polypharmacy. Worldwide, it was estimated that in 2017, approximately 6.7 million people aged 50 and older were living with HIV . In 2015, approximately 47% of PLWH in the United States (US) were aged 50 and older, according to the CDC . This number is expected to rise as the life expectancy of PLWH approaches that of non-infected individuals . Polypharmacy, a well-described problem in the geriatric population, is a concern in the aging population of PLWH, as well. It is crucial for providers to understand the unique risks of polypharmacy within this community and how to mitigate them. This will allow for the effective treatment of HIV and medical comorbidities and the prevention of harm. Polypharmacy denotes the prescription of multiple medications , but defining it is challenging; a systematic review in 2017 found 138 definitions . The meaning of polypharmacy often depends upon the purpose for which the term is being used. Most commonly, a quantitative definition is used, as this is conceptually simple and supported by a literature that documents an increased risk of complications with increased number of medications . A second conceptualization of polypharmacy centers is around medication choice. In this case, the question is a more complicated one: irrespective of total number of medications, is each drug justified and safely administered? Table 1 lists typical definitions and resources. A more comprehensive list and comparison of appropriateness measures can be found in Whitman et al. .
A quantitative definition may seem easy to measure and has the advantage of an extensive literature. Nonetheless, when viewing polypharmacy quantitatively, patients and providers may have very different perspectives. The patient may be most concerned about pill burden, while the provider may be most concerned about total number of medications irrespective of dosing frequency or mode of administration. Providers may forget to ask about over-the-counter medications or complementary therapies and underestimate medication burden. The use of multiple medications does not necessarily indicate poor prescribing, but rather may merely be an indicator of multimorbidity . It does not factor in medication toxicity or potency; older PLWH may meet quantitative definitions of polypharmacy merely by taking a few over-the counter medications along with their antiretroviral medication. Medication appropriateness may be a more viable construct and a more achievable goal, especially in the setting of HIV. To that end, Duerden et al. distinguish between problematic (as defined in Table 1) and appropriate polypharmacy, which they define as “prescribing for an individual for complex conditions or for multiple conditions in circumstances, where medicines use has been optimised and where the medicines are prescribed according to best evidence.” This framework is relevant to all PLWH. Age, frailty, functional and cognitive status, and multimorbidity should be considered when determining the optimal regimen. Several studies have examined prevalence of polypharmacy in PLWH. According to the 2011 Swiss Cohort study, 14.2% of the 450 PLWH over 65 were taking at least 4 different non-ART medications . An examination of polypharmacy and comorbidity in the Italian GEPPO cohort (aged ≥ 65) defined polypharmacy as taking five or more non-ART medications. They found that polypharmacy was present in 37% of the HIV-infected cohort compared to 24% in controls. In addition, this study demonstrated that the risk of polypharmacy increased for those greater than 75 and with longer exposure to HIV, rising to 43% for those who had been diagnosed with HIV for at least 20 years . The Veterans Aging Cohort study of 7200 veterans in the US noted that among those older than 50, PLWH were taking an average of 7 medications, while uninfected counterparts were taking an average of 5. Of PLWH, 55% were taking 5 or more medications (which included ART). This likely underestimates the actual number, as only prescribed medications were counted . While the prevalence of polypharmacy was much higher in this study than prior ones, it still demonstrated a higher rate of polypharmacy in PLWH than in those without HIV, even when excluding ART. When assessing what additional medications PLWH take compared to those without HIV, a Spanish study of 8172 PLWH aged 50 years or older showed that PLWH are prescribed more CNS medications and anti-infectives, but similar amounts of cardiovascular (CV) drugs . Polypharmacy is not restricted to resource-rich countries. In Uganda, where the prevalence of HIV in those aged >=50 is 4%, the rate of polypharmacy in 411 PLWH from one clinic was approximately 15%. Polypharmacy was more common among those who had seen a physician and was not associated with adverse events, reflecting the possibility that polypharmacy in part may be an indicator of access to care . Even though most definitions of polypharmacy exclude ARVs, many of the negative outcomes of polypharmacy are a consequence of interactions between ARVs and medications used to treat comorbidities. The following table divides the most common ARVs by drug class and details the adverse effects, geriatric considerations, and major drug interactions (Table 2). A more exhaustive list with specific drug interactions is available online—Liverpool HIV Drug Interactions . The US Department of Health and Human Services (DHHS) website contains a chart of drug interactions between ARV class and commonly prescribed medications . Rash, rare cases of SJS. One of the most serious consequences of polypharmacy in this population is drug interactions. In one study of PLWH that included 159 people of all ages in Liverpool, clinically significant drug interactions were recorded in 27%, with 15% of interactions potentially lowering antiretroviral concentrations. Risk of clinically significant drug interactions was significantly related to receipt of protease inhibitors. Only 36% of clinically significant drug interactions were correctly identified by physicians . One can analyze drug interactions further by category (defined by Lexicomp®)—category D means to consider therapy modification, while category X interactions would be completely avoided. Using these criteria, 70% of 89 PLWH aged 60 or older in a San Francisco area study had at least 1 category D drug–drug interaction (DDI), while 11% had a category X interaction. A clinical pharmacist determined 60% of interactions to be clinically significant. Approximately half of the interactions were between ART and non-ART medications, and 35% were between non-ART . One study of 3810 PLWH over 50-year-old living in Liverpool showed that 7% of PLWH had at least one ARV/non-ARV combination that was contraindicated and a third with moderate or high evidence of interaction. The medications that were most often involved included PPIs, statins, and benzodiazepines . As seen in the chart above, pharmacokinetic enhancers, or “boosting” medications, such as ritonavir and cobicistat, which are strong inhibitors of CYP3A4, are among those drugs with the highest risk for interactions , see Table 3 for more specific interactions. Another complication of polypharmacy is medication nonadherence. Although controversial in the literature, a systematic review of studies with rigorous designs found that four out of the five studies examined showed an association between polypharmacy and a greater risk of nonadherence . Polypharmacy has been associated with decreased adherence to ART . However, this is not seen universally. In the Uganda study discussed above, there was no impact on adherence or clinical outcomes . Adverse events are the most frequent reason for first-line antiretroviral therapy discontinuation/switch. Among 1096 PLWH in Italy of all ages, there was a higher rate of discontinuation of ARV secondary to side effects in older PLWH . Polypharmacy increases the risk of geriatric syndromes such as falls, confusion, delirium, and cognitive decline in the general population. A study of 46,946 people of all ages in the US showed that in older individuals with diabetes, taking greater than 4 medications was associated with an increased risk of falls . Another study of 395 PLWH in Colorado ages 45–65 determined that the odds of falling is increased by 1.7 for each comorbidity and 1.4 for each medication . 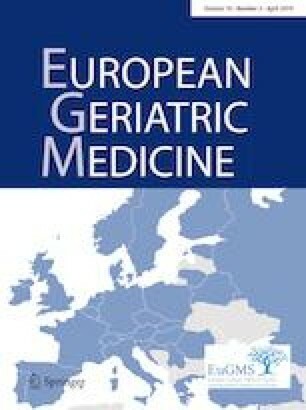 In the geriatric population, there is an association between impaired cognition, difficulty with daily tasks, and polypharmacy for those taking ≥ 10 medications based on 1000 people from the GeMS Study data in Finland . For other systemic side effects unrelated to the geriatric population, a study of 661 people of all ages in Boston found that the number of medications taken was significantly associated with adverse events —the details of possible side effects are shown in Table 2. Overtreatment is the underlying concern about polypharmacy. However, undertreatment is also an area of concern for PLWH who have high-risk comorbidities. For example, most models of risk for heart disease are based on risk factors that go into the Atherosclerotic Cardiovascular Disease (ASCVD) risk algorithm, which does not include other pro-inflammatory states, such as HIV . The incidence of cancer, liver disease, and cardiovascular disease is higher in treated PLWH than in age-matched HIV-uninfected people . Furthermore, the rate of CV events is higher in untreated PLWH than in treated patients, which is likely related to higher levels of inflammation. IL-6, hsCRP, and D-dimer are three markers of inflammation that are elevated in PLWH and are associated with mortality and CV disease . With this said, treated PLWH still have elevated biomarkers and have higher risk of CV events. For those on protease inhibitors, there are higher rates of hyperlipidemia, insulin resistance, and CV morbidity. Among people in the Veterans Aging Cohort Study who met NCEP/ATP III criteria for lipid lowering therapy, HIV-infected veterans had a significantly lower prevalence for the receipt of lipid lowering therapy—approximately 60% lower as compared with HIV-uninfected veterans . This shows that even when comparing standard risk factors for CV disease, PLWH were undertreated. Potential interactions between ART and lipid lowering medications may account for some of this discrepancy. When taking into account the fact that PLWH are at higher risk for CV disease in general, the rate of undertreatment is likely higher. Decreasing pill burden can help mitigate polypharmacy in aging PLWH. One way to do this is to encourage fixed-dose combination (FDC) tablets. However, the actual number of active medications may or may not change when these changes are made. Although the previous single-tablet regimens were less likely to be prescribed in those with polypharmacy possibly due to perceived risk of drug–drug interactions (Modena HIV Metabolic Clinic Cohort Study among 2944 people of all ages) , two studies have shown that switching from multidrug regimen to FDC can lead to small, but statistically significant increase in adherence. A study of 43 PLWH of all ages in London showed improvement of adherence from 97.7 to 99.4% with the change to a FDC pill . An Italian study of 212 PLWH of all ages showed an improvement of QoL from 68.8 to 72.7% . A review found that five studies (two abstracts and three articles) noted a statistically significant association between regimen complexity and decreased adherence . These findings show that switching to or starting with FDC tablets can improve medication adherence by simplifying drug regimens. Despite this, many PLWH may be hesitant to switch ART, especially if they have been virologically suppressed for many years. Aside from patient reservations, there are other barriers to switching medications, including time required to obtain prior authorizations (in the US) and potential for higher copays, especially with private insurance. Ideally, newer medications will have even fewer interactions, but since PLWH may be reluctant to risk a new regimen, it is important to consider possible long-term drug interactions at initial counseling. The 2018 recommendations of the International Antiviral Society–USA Panel (IAS–USA) place FDC as preferred for most patients, specifically, combination tablets with a 2-NRTI backbone and an integrase inhibitor. The “boosted” FDC tablets with ritonavir or cobicistat are now considered first line only when regimens without them are not available . In addition, these recommendations prefer TAF (when available) over TDF, given the lower likelihood of renal and bone toxicity. The DHHS guidelines, however, do not recommend one over the other . There are no guidelines from IAS–USA specific for ART in older individuals despite change in pharmacodynamics/kinetics that come with aging . DHHS guidelines recommend tailoring ARV drugs based on aging-associated comorbidities, such as renal or liver dysfunction and bone health, as well as consideration of drug–drug interactions . Medication reconciliation is likely the most important intervention for decreasing polypharmacy or allowing for “safer” polypharmacy. This would help ensure that PLWH are not being over-prescribed unnecessary medications or under-prescribed preventive medications while simultaneously accounting for drug interactions and geriatric concerns. The two most used tools include the STOPP/START and Beers criteria [10, 11]. PLWH, especially those who are considered elderly or frail, may be eligible for de-prescription, whereby providers reduce the use of medications, as patients grow older. This is particularly important when PLWH are prescribed medications that either interact or may lead to unwanted adverse events. STOPP/START and Beers criteria can be utilized to help identify medication that should be avoided or at least reduced in elderly patients [10, 11]. For example, the use of psychotropics, such as atypical antipsychotics, is not only likely to increase fall risk in patients, it also poses additional risk in patients with HIV who are receiving pharmacokinetic enhancers ritonavir or cobicistat. Quetiapine levels, for example, can be increased up to fivefold in patients receiving ritonavir [20, 51, 52, 53, 54, 55]. This is just one example of how the Beers criteria have important implications on elderly patients with HIV. In addition, a pharmacist-led study used Beers Criteria and STOPP to assess for potentially inappropriate prescribing (PIP) in older PLWH and found that targeting people with 11 or more medications had the highest yield in identifying opportunities for de-prescribing. A little over half of people were found to have a PIP, and after a pharmacist-led visit, approximately 70% of participants had at least one medication discontinued; 10% had at least six medications discontinued . The approval of numerous HIV FDC tablets may reduce the total number of medications that a person is receiving. This should prompt HIV providers to evaluate previously selected regimens that may be changed to newer FDC tablets. For example, patients may still be receiving twice daily darunavir/ritonavir selected years ago when that was the standard of care . Research has demonstrated that once-daily darunavir/ritonavir or darunavir/cobicistat can be used if darunavir resistance associated mutations (RAMS) are absent . This change not only reduces pill burden, but also eliminates a dose of darunavir/ritonavir, which could potentially improve lipids, reduce GI adverse events, and minimize drug interactions . In addition, common medical issues, such as diabetes, hyperlipidemia, and hypertension, need to be evaluated and addressed in all aging patients. Hemoglobin A1c and blood pressure goals may need to be adjusted to reduce the risk of falls in elderly patients. The SPRINT trial showed that more intensive blood pressure control, even in the elderly, was associated with decreased risk of many CV outcomes, but with increased risk of adverse events, including hypotension and syncope . The recommendations from the American Diabetes Association for A1c goal in the elderly depend on functional status and comorbidities, though there are few data on the subject (grade C recommendations) . Finally, LDL goals that require additional medications besides the use of statins may also need to be liberalized to reduce potential for toxicity. When reviewing medications, it is important to note again that this is a cohort with higher levels of inflammation. Thus, it may be even more critical to aggressively treat comorbidities. While awaiting further studies that may change guidelines specific to those with chronic inflammation, it is important to at least ensure guideline-based CV prevention therapy. PLWH are at high risk for chronic pain . Aging PLWH are especially vulnerable to chronic pain and opiate use [61, 62]. The treatment of chronic pain has shown to improve ART adherence [63, 64, 65]. Unfortunately, pain medications may increase both the pill burden and the risk for drug interactions/adverse drug events [66, 67]. In addition to polypharmacy, opiate use puts older adults at risk for delirium, falls, and fractures, particularly in the setting of possible underlying neurocognitive deficits and low bone mineral density seen in aging PLWH . A special polypharmacy consideration is the effect of ART on opiate metabolism . Some NNRTIs, such as efavirenz, nevirapine, and rilpivirine may decrease methadone levels by increasing the induction of the metabolism of methadone. This can potentially cause withdrawal in people on methadone for chronic pain or opioid addiction [60, 68]. Other ART, such as ritonavir, may increase the level of opioids by inhibiting the CYP34A metabolism thus causing opiate overdoses [60, 68]. Substance abuse is also not uncommon among PLWH . Injection drug users are more likely to be compliant with ARV if they are medically treated for their addiction . The most commonly used medications to treat opiate addiction are methadone and buprenorphine. As discussed above, some ART can interact with the metabolism of methadone. This also applies to buprenorphine . Another vulnerable population of PLWH at risk of polypharmacy is those near the end of life . Prior to ART, HIV infection may have justified hospice or palliative care soon after diagnosis, but PLWH are now living close to the life expectancy of people without HIV [72, 73], and HIV is an infrequent primary diagnosis for hospice [63, 74]. This does not necessarily mean that people with HIV forego hospice, but that they are admitted to hospice for other life-limiting illnesses . The current hospice admission criteria for end-stage AIDS include having a CD4 < 25 cells/mL or viral load > 100,000, an opportunistic infection, HIV-related malignancies or illnesses, Karnofsky performance status of < 50%, in addition to supporting findings such as HIV not responsive to ART, or forgoing ART . This could mean that there are some who may be eligible for hospice secondary to end-stage AIDS due to resistant strains. In these situations, the question of whether a person benefits from continuing ART comes into play. Even if a PLWH is on hospice secondary to a non-HIV disease such as stroke or heart failure, the decision whether to continue ART is challenging, as currently, there are no guidelines . ART decreases the risks of opportunistic infections [75, 76, 77], which may lower their symptom burden and potentially decrease the caregiver’s exposure to resistant strains or high viral loads. Informal caregivers have the added burden of fear of infection related to caregiving activities of PLWH [78, 79]. Continuing ART, in addition to enhancing symptom management, may also alleviate some of the fear that caregivers have regarding transmission. Despite the argument that ART should be given to help alleviate symptoms and avoid suffering from certain pain and opportunistic infections, there are situations where discontinuing ART may be necessary. Utilization of standard de-prescribing techniques as described above may be helpful. Providers should evaluate the role of ART in symptom management, the risk of interactions, pill burden, and dysphagia . Initial HIV treatment regimens, which began with the first drug zidovudine in 1986, were characterized by high pill burden, side effects, and complicated dosing regimens that often resulted in decreased adherence . Over the past 3 decades, HIV treatment has evolved greatly, now with options for one pill once a day. Any single-tablet regimen is a combination therapy, typically including three-to-four different medications co-formulated into one tablet. As discussed previously, ease of dosing and adherence to ARV therapy have increased with single-tablet regimens and once-daily dosing schedules. Nonetheless, clinicians must consider multiple factors when selecting a single tablet that contains three-to-four medications within each tablet, particularly in an older population. Ongoing research offers potential for two-drug combination regimens, notably without a protease inhibitor that may require a pharmacologic “booster”. Recently, the SWORD 1 and 2 trials evaluated the combination of dolutegravir/rilpivirine, as maintenance therapy compared to “current” ARV three-drug regimens such as two NRTIs and an INSTI, NNRTI, or PI. At time of enrollment, all participants had HIV-1 RNA < 50 copies/mL for at least 6 months. The primary endpoint was proportion of participants with HIV-1 RNA < 50 copies/mL at 48 weeks  and a follow-up study of 100 weeks . These data show that the combination of dolutegravir/rilpivirine was non-inferior to current ARV regimens, as defined above, for ongoing viral suppression of HIV-1. Ongoing studies evaluating lipid profiles, bone mineral density, and fractures may offer further insight into the metabolic effects and potential benefits of this two-drug regimen. There are currently no recommended two-drug regimens for initial therapy of HIV infection. However, this may change, as ongoing research is evaluating the combination of dolutegravir/lamivudine compared to a dolutegravir plus two NRTI regimen in the GEMINI 1&2 phase III clinical trials [83, 84], whose estimated completion date is March 2020. If effective, this could offer newly infected people with HIV an opportunity to initiate therapy with a novel two-drug combination free of either NNRTI or PI medications that often carry a relatively higher burden of side effects, drug interactions, and metabolic complications. Dr. Johnston receives support from NIH TL1 TR000459 and NIAID T32AI007613. Dr. Siegler receives support from Gilead Sciences, Inc. for an investigator-initiated study IN-US-311-4182. Dr. Siegler receives support from Gilead Sciences for an investigator-initiated study. Dr. Faragon is on the speakers’ bureaus of AbbVie, Gilead Sciences, Merck, and Janssen Pharmaceutical. Drs. Freedman, Johnston, and Del Carmen report no conflicts of interest. The preparation of this review did not involve human or animal participants. No informed consent was required.